Manchester United are preparing a stunning £35m move for Colombian international, Yerry Mina, according to reports from The Sun. The Barcelona centre-back shone at the World Cup, scoring three goals and helping his team to the Round of 16. With the transfer fee of Leicester defender, Harry Maguire being quoted as £80m, Jose Mourinho is reportedly turning attention to Mina, who will be a cheaper alternative to the England international. The 6ft 5in powerhouse has been attracting interest in the Premier League with clubs like as Everton and Wolves reportedly making moves to bring the player to England. He is open to the possibility of leaving The Camp Nou following the arrival of Clement Lenglet. Mina struggled for game time in Barcelona last term and wants more playing time to aid his development. The Blaugrana only signed him from Palmeiras in January, but he struggled to adapt to the style of play and was particularly atrocious in the 5-4 defeat to Levante, which ended Barcelona’s unbeaten run with just one match left to play. Mina rebuilt his reputation, being his country’s best player at the World Cup and earning plaudits for his prowess from setpieces. 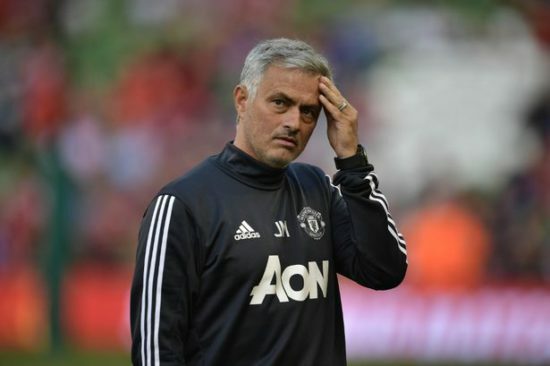 Jose Mourinho wants a new centre-back, as he is not convinced with the trio of Lindelof, Jones and Smalling. He has been linked to the pair of Toby Alderweireld and Harry Maguire but moves for either one of them is proving difficult. Mina is a centreback that has all the attributes of a Jose Mourinho defender: tall, powerful and good at aerial balls, which will make him a real threat from set pieces, as we saw in Russia. If signed, he would be a valuable addition.